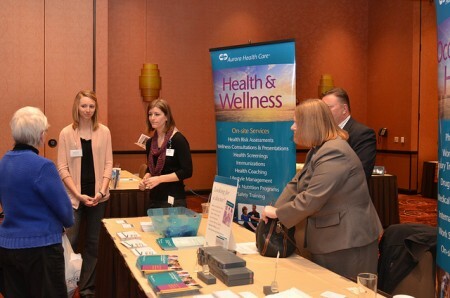 Recently, the Menomonee Valley Workplace Wellness Committee hosted the “2012 Wellness Expo,” at Potawatomi Bingo Casino. 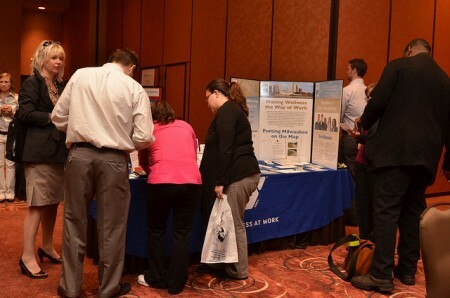 Employers and Menomonee Valley workers engaged in a variety of free wellness-related demonstrations at the “2012 Wellness Expo,” at Potawatomi Bingo Casino. Healthy cooking demonstrations and physical therapy seminars were among the offerings, designed so attendees could experience the wellness programming exhibiting companies can provide to local workers. Nearly 20 exhibitors from health- related industries participated in the event. The Menomonee Valley Workplace Wellness Committee was formed in 2010 to help valley business representatives collaborate on ways to provide employees with health and wellness services. The expo was sponsored by the Menomonee Valley Business Improvement District.